I keep trying to think of a reason to get a 3DS and Nintendo keeps giving me a reason not to. Nintendo, you WANT to upgrade your system. 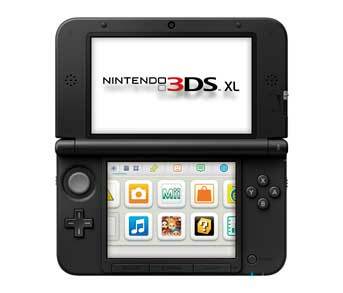 No one will happily buy another accessory that makes their 3DS the size of a brick. Unless that's the tagline you're going for. 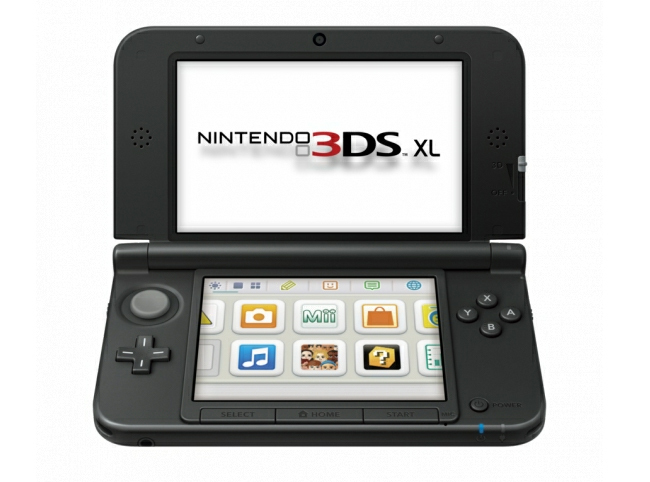 Nintendo 3DS XL. You might as well carry a Wii instead. We all know the reason they're not just putting in the second analog stick like they should have on the 3DS to begin with, to make us shell out more money for an accessory for games that really, should have been designed to not need the second stick to start with. Come on Nintendo, this kind of blatant money grubbing is something I'd expect from EA, and trust me, you don't want to be ANYTHING like EA. Another attachment? Why not just put the other stick on the bloody thing to begin with? The 3DS is quickly becoming Nintendo's PSP. Except Sony released the PSP in smaller forms as time went on. Are Nintendo still officially calling this a handheld? This feels like this is just so fans won't complain. I bet they're already looking into making the distribution even more laughable than last time. It'll be exclusive. To a small chain. That only has 5 locations. No online. In Alaska. I'm confuse, is the second analog control is seperate from the XL version or is it going to be in it already? Why didn't Nintendo just put the second analog stick on with it? I'm going to wait till next year in hopes of a version with a build in second stick. I think Nintendo is completely aware of the want for a second analog stick, but they're just pulling an Apple on this one, holding off as long as they can to milk the most money by selling extra accessories. Nintendo isn't terribly bright as of late are they? Nintendo - because sometimes you want something five years after everyone else. Amirite, WiiU? And THAT is why I don't a 3DS. At all. 75% of its good games are re-releases of games I already own (Snake Eater, Starfox, Zelda, etc.) and the other half are not incredibly good enough to make me wanna get one (Mario, Kid Icarus...yet ANOTHER KH that's not KH3...Pokemon?). If anything, the Vita is looking like a better candidate, though I'm not exactly a gamer on the go. But if I was, I'd get a Slim Vita. Oh, it's coming. Just you wait. Well I just said in another tread that I finally wanted a 3DS and now I've come to my senses. So because of an optional peripheral on an optional device you're not getting it? That logic is simply amazing, ain't it? I wanna see the pocket you can put that brick into then. You could give someone a concussion with that! Huh?... Well now you put it that way I feel silly but overall I think it was just seeing the 3DS again that brought me back to not wanting it. I was just in a hype about pokemon. Still, having another circle pad attachment on a 3DS that is already MASSIVE like your mom is just piss poor design.